These new NOVA QwiK Metal lockers are tough, fun and designed with organization and security in mind. Perfect for kids' rooms, garages, sports themed bedrooms, games rooms, mud rooms and school rooms. 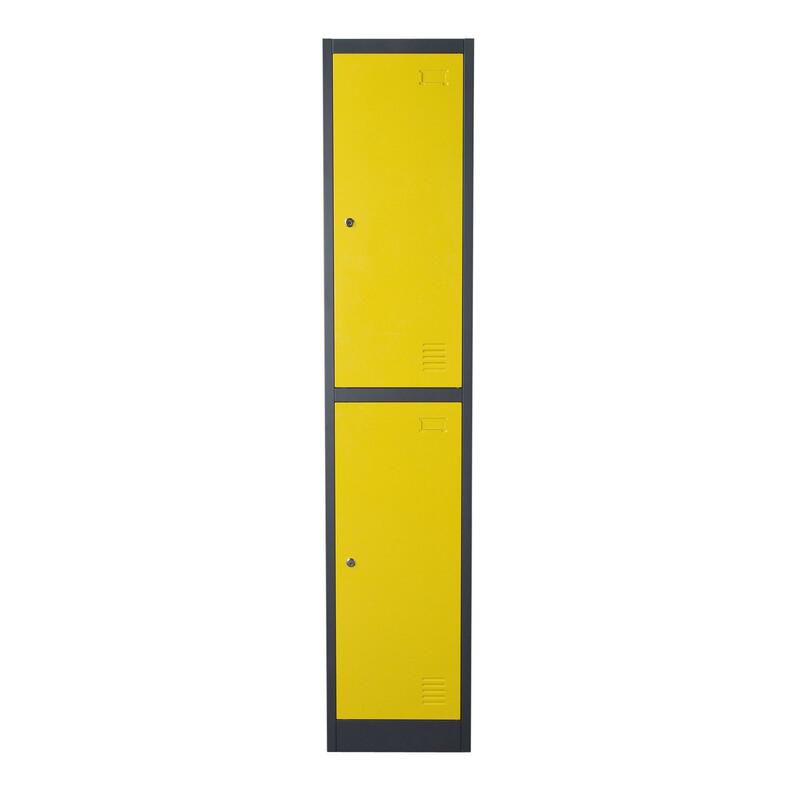 Each locker cabinet can be used individually or in tandem to create a cool, hip wall of functional and stylish storage. Premium powder coated paint process provides a durable, attractive and scratch resistant finish with Yellow body and Dark Grey trim. Louvered doors promote ventilation. Key lock entry for individual compartment security. Upper Shelf provides ample storage while the coat rod enables you to hang jackets and clothing items. With the NOVA QwiK engineering, assembly is a snap.